Meteorologist Steve Sosna joined NBC 4 New York’s "Storm Team 4" in October 2011 as the senior weather producer for weekday “Today in New York.” Sosna is the digital and social media meteorologist for NBCNewYork.com and has appeared as an on-air meteorologist for MSNBC during severe weather events. 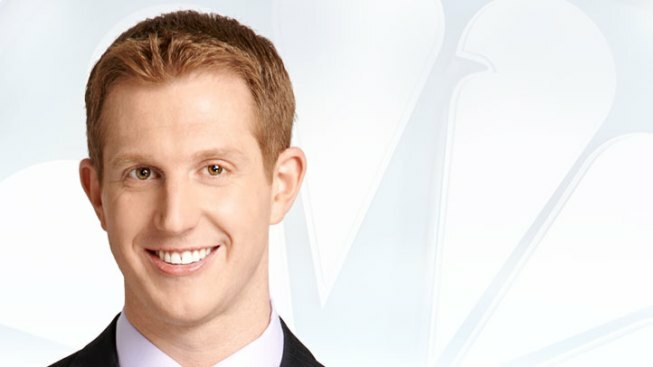 Sosna started his career at NBC 4 New York recording local weather updates for NBC Weather Plus and was a freelance meteorologist for News 12 Connecticut and News 12 Weather and Traffic. Storm Team 4, as part of NBC 4 New York’s outstanding coverage of Hurricane Sandy, won a New York Emmy, a National Emmy and Edward R. Murrow award and rang the Closing Bell at the New York Stock Exchange. Sosna graduated from Kean University in 2008 with a Bachelor’s Degree in Earth Science with a concentration in atmospheric science. While at Kean, Sosna and a few classmates created the school’s first on-air weather casts called “Kean cast” that aired over the campus TV & radio stations. Sosna was President of the Kean University chapter of the American Meteorological Society (AMS) & National Weather Association (NWA). Sosna worked on a COMET funded research project that focused on thunderstorm initiation in the state of New Jersey. The findings from this project were later printed in an NWA publication. Sosna is a proud member of OUT @ NBC Universal, NBC Universal’s LGBT & Straight Alliance. Sosna participates in various races across the city and enjoys hiking or biking trails in the Hudson Valley & Catskills. A native of Philadelphia; Steve, his partner, and rescue dog, Joey, live in Manhattan. You can often see them out-and-about on their adventures exploring the city.